Firm blanket with a good fit thanks to the shoulder pleats at the front. Are no belts in the blanket, brackets are provided so that even further is convenient. No tail flap. 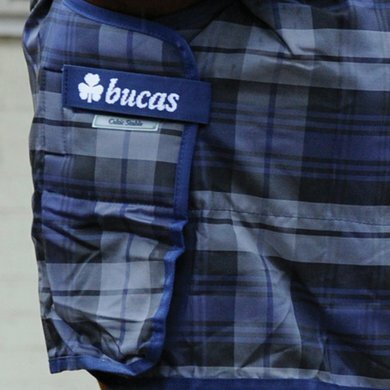 For the rest the good bucas quality as known. 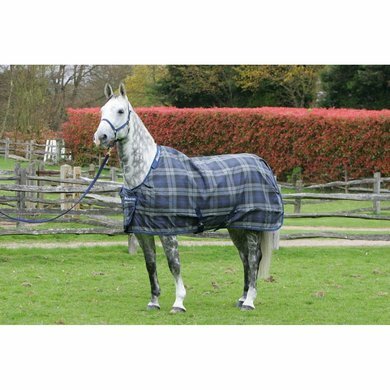 Nice blanket, very handy that you can put the blanket on a wet horse, I did not have to shave this year. 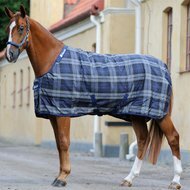 I use the blanket as a blanket and leave the rain blanket after driving so that the horse can lose the heat. 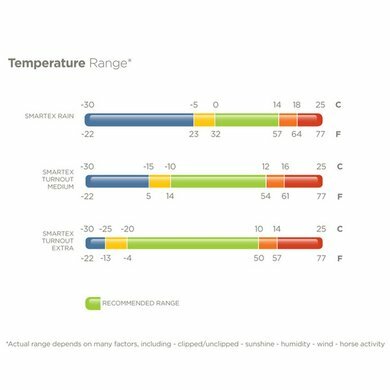 Disadvantages are that the blanket pulls something crooked and the stay dry can rub. What I found surprising was that the horse was still completely dry after half an hour of walking in the rain, the blanket is very water-repellent for a stall. Beautiful blanket which fits well. 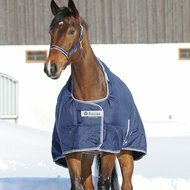 The drying function of the blanket is very nice, only at temperatures around 15 degrees your horse can start to sweat. top blankets indestructible can recommend him to everyone !!!! was sent back because it was as thin as the silver of bucas. 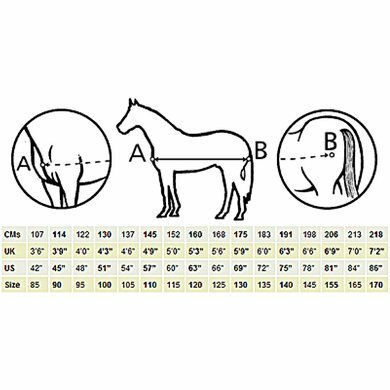 this would be clearer with the description which is what is.